This Christian t-shirt reminds us that it's not about us, it's all about Him. 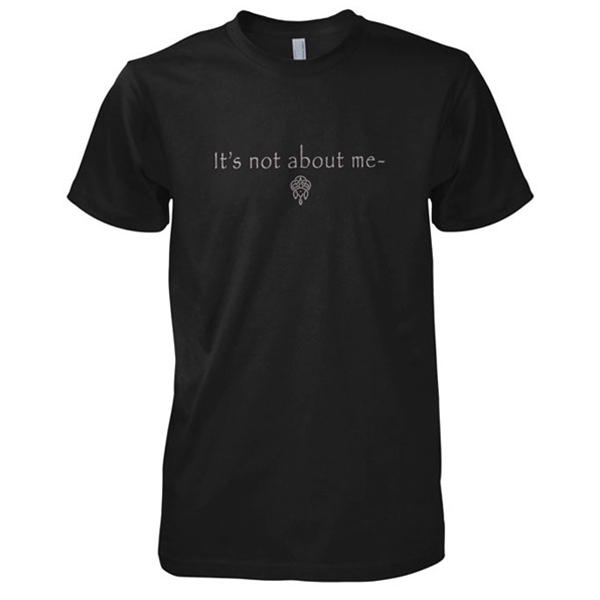 The front of this t-shirt reads "It's not about me." 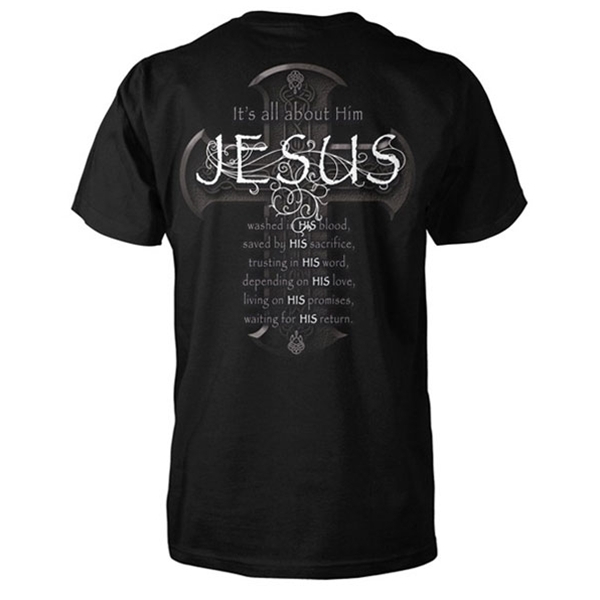 The back features a cross with the phrase, "It's all about Him, Jesus. Washed in His blood, saved by His sacrifice, trusting in His word, depending on His love, living on His promises, waiting on His return."